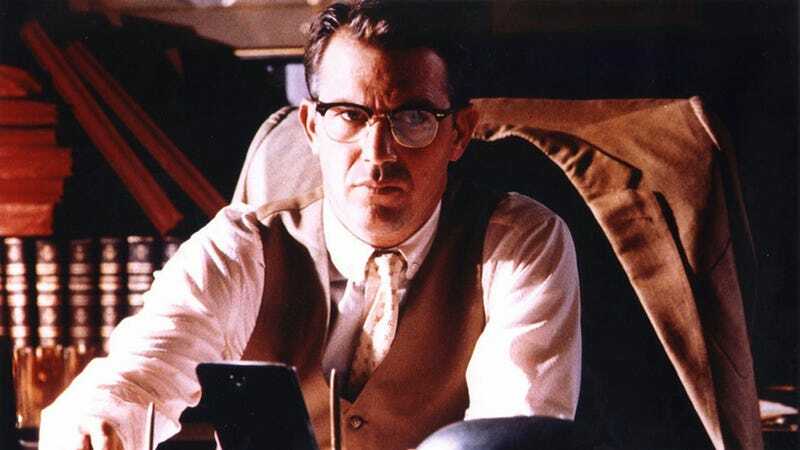 You don't have to be Oliver Stone to believe that Lee Harvey Oswald wasn't actually a lone nut with suspiciously good aim, though if you want a primer on the most popular Kennedy assassination theories, Stone's epic JFK is a good place to start. But beyond Donald Sutherland's Mr. X (his scenes are great, but I'm pretty sure "X" stands for "exposition"), Kevin Costner's ludicrous New Orleans accent, and the battle for most distracting wig 'twixt Joe Pesci and Tommy Lee Jones, lie ever more far-out notions about who killed the President, and why. Screw the Warren Commission — journey with us onto the grassy knoll to unearth the 10 best (and worst, because sometimes the worst is the best) JFK assassination conspiracy theories … no tin foil hat required. Did la cosa nostra hate JFK enough to take him out (and brother RFK a few years later)? Supporters of this theory point to figures like New Orleans kingpin Carlos Marcello, who was called to testify before a Senate committee on organized crime but took the Fifth on the stand; RFK was chief counsel to the committee, and then-Senator JFK was a committee member. Chicago mobster Sam Giancana also had Kennedy connections; Oswald assassin Jack Ruby, a Dallas nightclub owner, was also alleged to have mob ties. Never forget: Ruby died in prison in 1967 while awaiting a new trial after his first conviction was overturned. How convenient. Oh, to be a fly on the wall at CIA HQ during the 1960s, privy to all the (failed) Castro assassination plans, including that one to blow him up during a visit with Ernest Hemingway's widow on the late author's Cuban farm. Could the CIA have also plotted to do away with JFK, a thorn in the organization's side post-Bay of Pigs Invasion? Could it have succeeded? With JFK out of the way, LBJ stepped into the role of Commander-in-chief, with all the power that came with the gig (including the power to cover up any investigation into his involvement). Plus, the crime occurred on his home turf of Texas. Supposedly, both Jacqueline Kennedy and Richard Nixon thought Johnson had ties to the murder. Dig deep enough and you'll discover that some believe the Veep also had a hand in the deaths of RFK and Martin Luther King, Jr. Say it ain't so, Lady Bird! Did William Greer, who was driving Kennedy's limousine in the motorcade, shoot the president? Zapruder suggests ... not. This theory agrees Oswald pulled the trigger — but that he did it under orders from his Soviet overlords. The Communist sympathizer did defect to the Soviet Union in 1959, but changed his mind in 1961 and returned to the US. Was his change of heart a fiction, designed to cover up his KGB-sanctioned mission to kill Kennedy? This theory points to Kennedy's signing of Executive Order 11110 in June 1963, which tinkered with the way silver certificates were issued. This effort to curb the power of the Federal Reserve (a shadowy, conspiracy-attracting organization to begin with) angered billionaires enough to make them murder — or, presumably, drop mad dollars on triangulating the most airtight assassination plot of all time. A lot of people turned out to watch JFK's motorcade that fateful day. Some of them cut memorable figures in photographs or films made that day, but were either questioned and released, or never found. Was one of them the shooter, or a back-up for Oswald, or otherwise involved in some secret, sinister way? What evidence are they hiding? Wherefore art thou, Babushka Lady? Was JFK too curious about UFO activity? Or did he have secret information that somebody was willing to kill to protect? Was that someone human … or intergalactic? Because no list of conspiracy theories would be complete without 'em. Google returns nearly a million hits when you type "JFK Illuminati," for anyone with time to spare and an abiding love of rabbit holes.